Ann Lee (1736-1784), the founder and leader of the Shakers. Lee’s followers referred to her as “Mother,” believing that she was the female incarnation of Christ on Earth. John Nichols Thom (1799–1838), a Cornish tax rebel who claimed to be the “saviour of the world” and the reincarnation of Jesus Christ and his body temple of the Holy Ghost in 1834. He was killed by British soldiers at the Battle of Bossenden Wood, on May 31, 1838 in Kent, England. Arnold Potter (1804–1872), Schismatic Latter Day Saint leader; he claimed the spirit of Jesus Christ entered into his body and he became “Potter Christ” Son of the living God. He died in an attempt to “ascend into heaven” by jumping off a cliff. His body was later retrieved and buried by his followers. 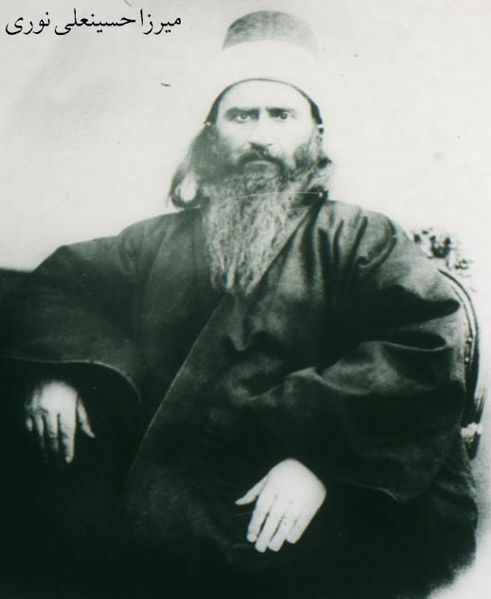 Bahá’u’lláh (1817–1892), born Shiite, adopted Bábism later in 1844, he claimed to be the prophesied fulfillment and Promised One of all the major religions. He founded the Bahá’í Faith in 1863. Followers of the Bahá’í Faith believe that the fulfillment of the prophecies of the second coming of Jesus, as well as the prophecies of the 5th Buddha Maitreya and many other religious prophecies, were begun by the Báb in 1844 and then by Bahá’u’lláh. They commonly compare the fulfillment of Christian prophecies to Jesus’ fulfillment of Jewish prophecies, where in both cases people were expecting the literal fulfillment of apocalyptic statements. William W. Davies (1833–1906), leader of a Latter Day Saint schismatic group called the Kingdom of Heaven located in Walla Walla, Washington from 1867 to 1881. He taught his followers that he was the archangel Michael, who had previously lived as the biblical Adam, Abraham, and David. When his son Arthur was born on February 11, 1868, Davies declared that the infant was the reincarnated Jesus Christ. When Davies’s second son, David, was born in 1869, he was declared to be God the Father. 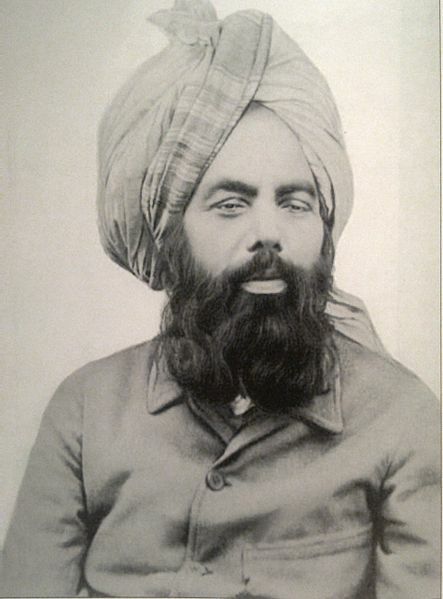 Mirza Ghulam Ahmad of Qadian, India (1835–1908), claimed to be the awaited Mahdi as well as (Second Coming) and likeness of Jesus the promised Messiah at the end of time, being the only person in Islamic history who claimed to be both. He claimed to be Jesus in the metaphorical sense; in character. He founded the Ahmadiyya Movement in 1889, envisioning it to be the rejuvenation of Islam, and claimed to be commissioned by God for the reformation of mankind. Lou de Palingboer (1898-1968), the founder and figurehead of a new religious movement in the Netherlands, who claimed to be “the resurrected body of Jesus Christ”. 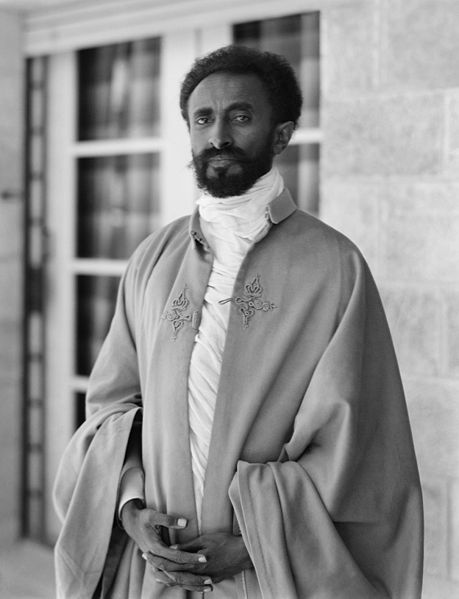 Haile Selassie I (1892–1975) did not claim to be Jesus and disapproved of claims that he was Jesus, but the Rastafari movement, which emerged in Jamaica during the 1930s, believes he is the Second Coming. He embodied this when he became Emperor of Ethiopia in 1930, perceived as confirmation of the return of the Messiah in the prophetic Book of Revelation 5:5 in the New Testament but is also expected to return a second time to initiate the apocalyptic day of judgment. He is also called Jah Ras Tafari, and is often considered to be alive by Rastafari movement members. Ahn Sahng-Hong (1918–1985), a South Korean who founded the New Covenant Passover Church of God in 1964 and who is considered by the World Mission Society Church of God as the Second Coming of Jesus. The World Mission Society Church of God believes that a woman by the name Zahng Gil-Jah is “God the Mother,” who they believe is referred to in the Bible as the New Jerusalem Mother (Galatians 4:26, and that Ahn Sahng-Hong is God the Father). Sun Myung Moon (1920–2012), believed by members of the Unification Church to be the Messiah and the Second Coming of Christ, fulfilling Jesus’ unfinished mission. Church members (“Unificationists”) consider Sun Myung Moon and his wife, Hak Ja Han, to be the True Parents of humankind as the restored Adam and Eve. Jim Jones (1931–1978), founder of Peoples Temple, which started off as an offshoot of a mainstream protestant sect before becoming a personality cult as time went on. He claimed to be the reincarnation of Jesus, Akhenaten, Buddha, Vladimir Lenin, and Father Divine in the 1970s. Organized a mass murder suicide at Jonestown, Guyana on November 18, 1978. He shot himself after the murders were done. Marshall Applewhite (1931–1997), an American who posted a famous Usenet message declaring, “I, Jesus—Son of God—acknowledge on this date of September 25/26, 1995: …” Applewhite and his Heaven’s Gate cult committed mass suicide on March 26, 1997 to rendezvous with what they thought was a spaceship hiding behind the comet Hale-Bopp. Yahweh ben Yahweh (1935–2007), born as Hulon Mitchell, Jr., a black nationalist and separatist who created the Nation of Yahweh in 1979 in Liberty City, Florida. His self-proclaimed name means “God, Son of God.” He could have only been deeming himself to be “son of God”, not God, but many of his followers clearly deem him to be God Incarnate. In 1992, he was convicted of conspiracy to commit murder and sentenced to 18 years in prison. Laszlo Toth (1938–), Hungarian-born Australian who claimed he was Jesus Christ as he vandalized Michelangelo’s Pietà with a geologist’s hammer in 1972. Wayne Bent (1941–), also known as Michael Travesser of the Lord Our Righteousness Church. He claims; “I am the embodiment of God. I am divinity and humanity combined.” He was convicted on December 15, 2008 of one count of criminal sexual contact of a minor and two counts of contributing to the delinquency of a minor in 2008. Ariffin Mohammed (1943–), also known as “Ayah Pin”, the founder of the banned Sky Kingdom in Malaysia in 1975. He claims to have direct contact with the heavens and is believed by his followers to be the incarnation of Jesus, as well as Shiva, and Buddha, and Muhammad. 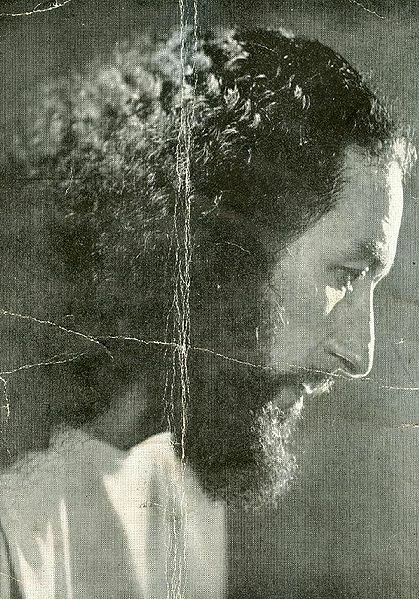 José Luis de Jesús Miranda (1946–2013), Puerto Rican founder, leader and organizer of Growing in Grace based in Miami, Florida, who claims that the resurrected Christ “integrated himself within me” in 2007. Thomas Harrison Provenzano (1949–2000), an American convicted murderer who was possibly mentally ill. He compared his execution with Jesus Christ’s crucifixion. Shoko Asahara (1955–), founded the controversial Japanese religious group Aum Shinrikyo in 1984. He declared himself “Christ”, Japan’s only fully enlightened master and the “Lamb of God”. His purported mission was to take upon himself the sins of the world. He outlined a doomsday prophecy, which included a Third World War, and described a final conflict culminating in a nuclear “Armageddon”, borrowing the term from the Book of Revelation 16:16. Humanity would end, except for the elite few who joined Aum. The group gained international notoriety in March 20, 1995, when it carried out the Sarin gas attack on the Tokyo subway. He has been sentenced to death, and is awaiting execution. David Koresh (1959–1993), born Vernon Wayne Howell, was the leader of a Branch Davidian religious sect in Waco, Texas, though never directly claiming to be Jesus himself, proclaimed that he was the final prophet and “the Son of God, the Lamb” in 1983. In 1993, a raid by the U.S. BATF, and the subsequent siege by the FBI ended with Branch Davidian ranch burning to the ground. Koresh, 54 adults and 21 children were found dead after the fire extinguished itself. Hogen Fukunaga (1945–) founded Ho No Hana Sanpogyo, often called the “foot reading cult,” in Japan in 1987 after an alleged spiritual event where he claimed to have realized he was the reincarnation of Jesus Christ and Gautama Buddha. Marina Tsvigun (1960–), or Maria Devi Christos, is the leader of the Great White Brotherhood. In 1990 she met Yuri Krivonogov, the “Great White Brotherhood” founder, who recognized Marina as a new messiah and later married her, assuming in the sect the role of “John the Baptist”, subordinate to Tsvigun. Sergey Torop (1961–), a Russian who claims to be “reborn” as Vissarion, Jesus Christ returned, which makes him not “God” but the “word of God.” He founded the Church of the Last Testament and the spiritual community Ecopolis Tiberkul in Southern Siberia in 1990. Maurice Clemmons (1972–2009) an American felon responsible for the 2009 murder of four police officers in Washington state, referred to himself in May 2009 as Jesus. David Shayler (1965–) was a former MI5 agent and whistleblower who, in the summer of 2007, proclaimed himself to be the Messiah. He has released a series of videos on YouTube claiming to be Jesus, although he has not built up any noticeable following since his claims. Alan John Miller (1962–), more commonly known as A.J. Miller, a former Jehovah’s Witness elder and current leader of the Australia-based Divine Truth movement. Miller claims to be Jesus Christ reincarnated with others in the 20th century to spread messages that he calls the “Divine Truth”. He delivers these messages in seminars and various forms of media along with his current partner Mary Suzanne Luck, who identifies herself as the returned Mary Magdalene. 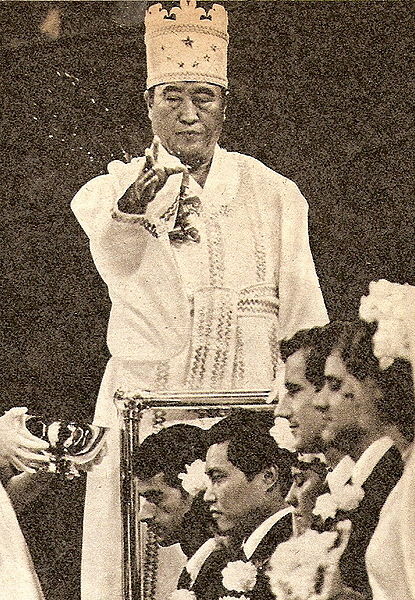 Apollo Quiboloy (1950–) is the founder and leader of a Philippines-based Restorationist church, the Kingdom of Jesus Christ, The Name Above Every Name, Inc. He has made claims that he is the “Appointed Son of God”.